HollywoodNews.com:The “Hollywood Film Awards” will present its annual “Hollywood Spotlight Awards” lineup of exciting new talents onstage at the Hollywood Film Awards® Gala Ceremony. 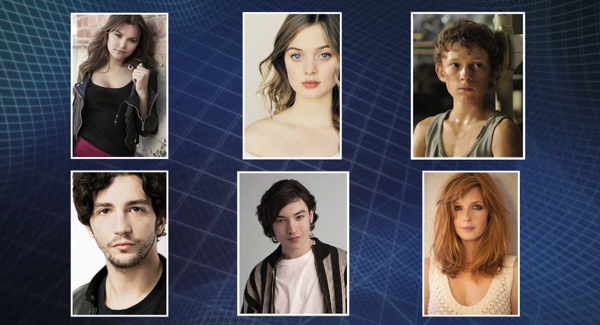 The recipients are Samantha Barks (“Les Misérables”), Bella Heathcote (“Not Fade Away”), Tom Holland (“The Impossible”), John Magaro (“Not Fade Away”), Ezra Miller (“The Perks of Being a Wallflower”), and Kelly Reilly (“Flight”). “We are very excited that we will be able to recognize acting talents that are on their road to discovery and stardom,” said Carlos de Abreu, Founder and Executive Director of the Hollywood Film Awards. The 2012 Hollywood Film Awards has also announced that it will honor actor Richard Gere with the “Hollywood Career Achievement Award”; actor Bradley Cooper with the “Hollywood Actor Award”; Academy Award-nominated writer/director Quentin Tarantino with the “Hollywood Screenwriter Award”; Ben Affleck, Alan Arkin, Bryan Cranston and John Goodman with the “Hollywood Ensemble Acting Award” for “Argo”; director David O. Russell with the “Hollywood Director Award”; Oscar-winning actor Robert De Niro with the “Hollywood Supporting Actor Award”; Academy Award-winning actress Marion Cotillard with the “Hollywood Actress Award”; three-time Academy Award-nominated actress Amy Adams with the “Hollywood Supporting Actress Award”; producers Tim Bevan and Eric Fellner with the “Hollywood Producers Award”; writer/director Judd Apatow with the “Hollywood Comedy Award”; actor John Hawkes with the “Hollywood Breakout Performance Award” for “The Sessions”; and Quvenzhané Wallis with the “New Hollywood Award” for “Beasts of the Southern Wild.” Other honorees include cinematographer Wally Pfister, editor Dylan Tichenor, production designer Sarah Greenwood, and visual effects supervisors Janek Sirrs and Jeff White. In addition, director Peter Ramsey’s “Rise of the Guardians” will be honored with the “Hollywood Animation Award,” along with additional honorees to be announced in the coming weeks. Last year’s awards show reached a total TV audience of more than 41 million media impressions, in addition to more than 300 million online and print readers’ impressions. Samantha Barks is emerging as one of Hollywood’s most engaging, vivacious and talented young actresses. Samantha will next be seen in the Universal film “LES MISERABLES” directed by Tom Hooper. She will star as “Eponine,” which was one of the most coveted and sought after roles of 2012. She will co-star opposite Anne Hathaway, Hugh Jackman, Russell Crowe, and Eddie Redmayne. Bella Heathcote is quickly emerging as one of Hollywood’s most sought after talents. This December, audiences will see her play Grace Diezt in “NOT FADE AWAY,” the highly anticipated film from “The Sopranos” creator David Chase. Set in the 1960s, “NOT FADE AWAY’s” accomplished ensemble cast also includes James Gandolfini, Jack Huston, and John Magaro. John Magaro is quickly becoming one of Hollywood’s most sought after and engaging young actors. This December, audiences will see him in the highly anticipated feature film directorial debut of “THE SOPORANOS” creator David Chase – “NOT FADE AWAY” – opposite an accomplished ensemble cast including James Gandolfini, Jack Huston, and Bella Heathcote. He will play the son of Tom Hanks in Columbia Pictures’ “MAERSK ALABAMA” and his other film credits include Neil Jordan’s “THE BRAVE ONE,” Brent Simon’s “THE ASSASINATION OF A HIGH SCHOOL PRESIDENT,” Vadim Perelman’s “THE LIFE BEFORE HER EYES” and Wes Craven’s “MY SOUL TO TAKE.” He recently finished filming “DEEP POWDER” opposite Shiloh Fernandez, Haley Bennett, Dana Eskelson, and Logan Miller. Ezra Miller has built a reputation for fearlessness, comedic chops and the ability to hold his own opposite stars like Tilda Swinton, Andy Garcia, and Liev Schreiber. At only 20, Miller is quickly amassing an impressive body of work, playing complex characters in the recent films “WE NEED TO TALK ABOUT KEVIN” and “ANOTHER HAPPY DAY.” Most recently, he stars in the film adaption of Stephen Chbosky’s best-selling novel “THE PERKS OF BEING A WALLFLOWER.” Miller plays Patrick, a witty, unconventional, gay character who leads protagonist Charlie (Logan Lerman) through the formidable world of high school. Miller’s performance earned rave reviews for bringing a larger than life character to screen with incredible sensitivity and vulnerability. night selection of the New York Film Festival on October 14th. Paramount Pictures releases the Denzel Washington-starrer on November 2nd. The Hollywood Film Awards were created to honor excellence in the art of filmmaking, both in front of and behind the camera, and launch the awards season. The criteria is: recipients are selected to be honored for their body of work and/or a film(s) that is to be released between January 1 and December 31 by an advisory team. In addition, for the recipients of our “film awards craft categories” (aside from evaluating their body of work), our Advisory team takes into consideration the recommendation of their guilds/societies. Last year alone, our recipients received 12 nominations and 5 Oscars. In the last 9 years, a total of 85 Oscar nominations and 32 Oscars were given to our honorees. 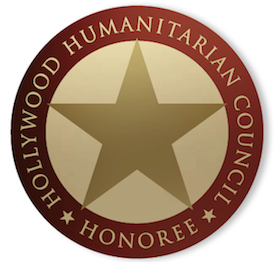 The Hollywood Film Awards are presented in conjunction with Presenting Sponsor the Los Angeles Times, Premier sponsors ArcLight Cinemas and Hollywoodnews.com, exclusive Regional Print Media sponsor Los Angeles Confidential and trade Media sponsors the Hollywood Reporter and Variety. Special support is provided by American Cinema Editors – A.C.E., American Society of Cinematographers – A.S.C., The Art Directors Guild – A.D.G., Celebrity Services, The Casting Society of America – CSA, Costume Designers Guild – CDG, Columbia Pictures, Creative Artists Agency, DreamWorks SKG, Entertainment Tonight, Focus Features, Fox Searchlight, ICM, ILM, Motion Picture Editors Guild, Paramount Pictures, Sony Pictures Classics, Universal Pictures, Warner Bros., The Weinstein Company, WME. Getty Image is the Official Photography Agency.